The lung is ideally situated to carry out many biosynthetic functions on substances in the blood because it receives the entire cardiac output. Three major mechanisms are used by the lung to process substances in blood: (1) synthesis or addition, (2) degradation or removal, and (3) activation or conversion, i.e., biotransformation. Table III summarizes the effect of the lungs on substances in blood that pass through the pulmonary circulation. Biogenic amines are removed from the pulmonary circulation in varying degrees. Serotonin (or 5-hydroxytryptamine) occurs in the lungs as a product of alveolar macrophages and pulmonary mast cells, in addition to arriving by the circulation. A carrier-mediated uptake process in the pulmonary endothelium almost completely removes serotonin from the blood. 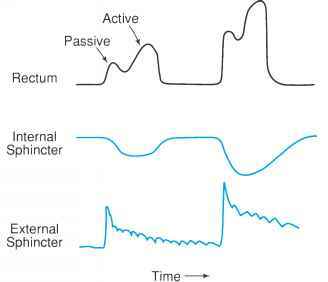 Norepinephrine occurs in the lungs from local activation of sympathetic nerve endings. Norepinephrine is removed from the blood by a carrier-mediated process into pulmonary endothelial cells, which contain enzymes to degrade the neurotransmitter. However, this pulmonary uptake mechanism is not effective at controlling systemic norepinephrine levels. Histamine is stored in large amounts in pulmonary mast cells in the airway walls and epithelium. Histamine can be released from these cells by allergic reactions and causes bronchial smooth muscle contraction and pulmonary vasoconstriction. Enzymes for degrading histamine occur in the lung, but the pulmonary circulation is not effective at removing histamine, perhaps because a cellular uptake mechanism does not occur. • Thromboxane: Removed a precursor decapeptide called angiotensin I. Angioten-sin I is not a strong vasoconstrictor and it is not changed by the pulmonary circulation. ACE is the main example of activation by the pulmonary circulation and it is extremely effective, with almost 100% conversion in a single pass of the blood through the lungs. Bradykinin is a potent vasodilator that is not synthesized in the lung, but is largely inactivated by the pulmonary circulation. Enzymatic inactivation of bradykinin occurs at the same endothelial site and uses the same enzyme (ACE) used to activate angiotensin I.
Arachidonic acid metabolites, also called eicosanoids, are either almost completely removed from blood by the pulmonary circulation or they are not affected. Arachi-donic acid is made in the lungs and other tissues by breakdown of phospholipid membranes. Prostaglandins (PG) and thromboxanes (Tx) are synthesized from arachidonic acid by cyclo-oxygenase and peroxidase, and can be released in pathologic states such as embolism and anaphylaxis. PGF2a is a bronchocon-strictor and vasoconstrictor, PGE2 is a vasoconstrictor, and PGE1 is a vasodilator, but they affect only the local airways and vessels where they are produced because they are metabolized by the pulmonary circulation. TxA2, a bronchoconstrictor, vasodilator, and platelet-aggregating substance, is also metabolized by the pulmonary circulation. On the other hand, PGI2 (or prostacyclin), which is a vasodilator and inhibitor of platelet aggregation, is not affected by the pulmonary circulation so it can exert systemic effects also. Leukotrienes (LTs) are synthesized from arachidonic acid by a different pathway, and they are part of the airway inflammatory response. LTC4, LTD4, and LTE4 may play a role in asthma. These LTs are 1000 times more potent than histamine as bronchoconstrictors, they stimulate mucous production, and they increase vascular permeability, which can lead to edema. LTB4 induces leukocyte chemotaxis, increased vascular permeability, and vasodilation. LTs are removed almost completely by the pulmonary circulation, so their effects are local.